The popularity of Photoshop has definitely made people more cynical about the photos they encounter on the internet. Well, you better leave your doubt behind for this one because the crazy landscapes you’re about to see are 100% real and unedited. Photoshop artists may be creative but they’re no match against nature. Here are 45 unbelievable and entirely nature-made landscapes that you should visit on your next trip. The Wai-O-Tapu (‘sacred waters’ in Maori) Thermal Wonderland is a popular attraction in New Zealand because of its spectacular geysers and amazing landscapes shaped by volcanic activity. 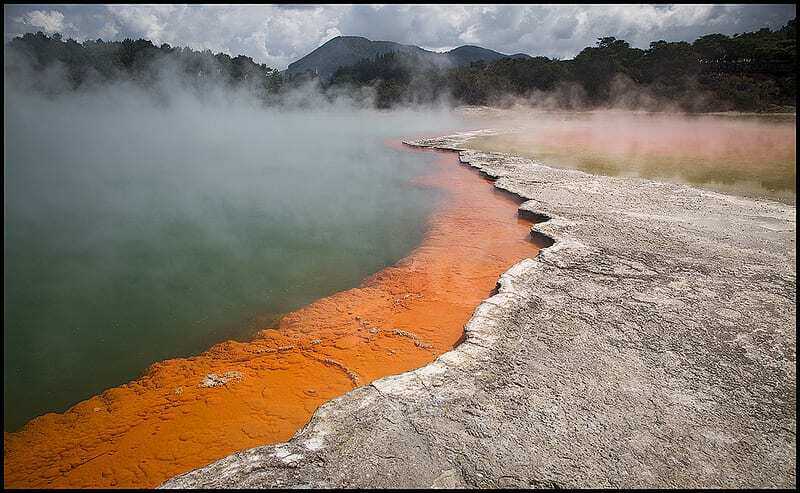 People flock to Wai-O-Tapu to see its colorful hot springs and boiling mud pools. You have got give it to Chinese farmers. They made the best of a tough situation. Seeing the land unfit for rice paddies, the Hani people (Chinese ancestors) shaped the land to form rice terraces. 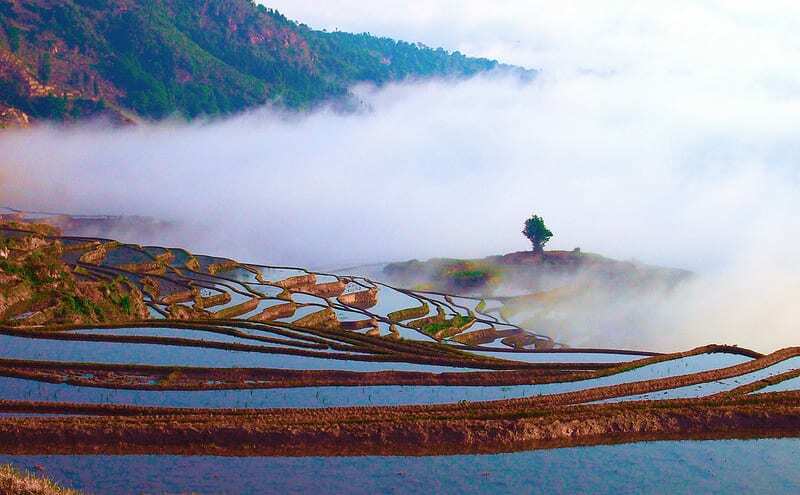 Surviving until today, the awe-inspiring Yuanyang Rice Terraces has been declared a UNESCO World Cultural and Natural Heritage Site. 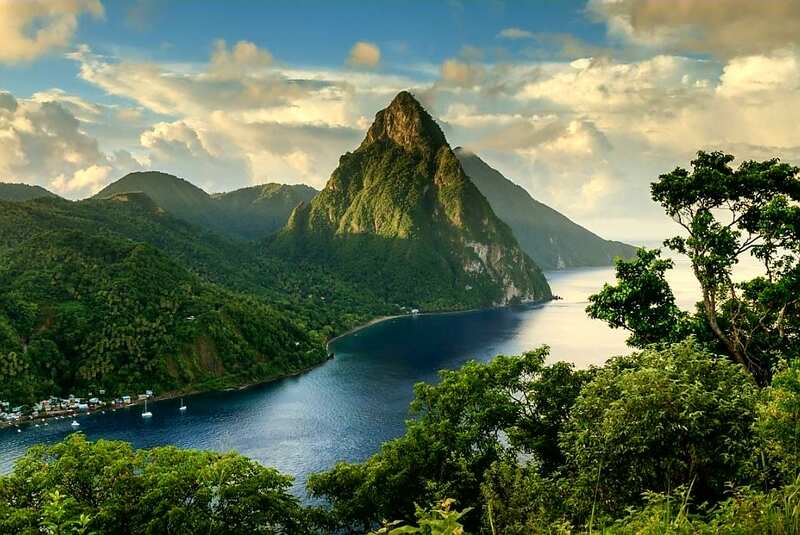 The Pitons are twin peaks located in Soufriere, St. Lucia in the Caribbean Sea. The area surrounding the peaks is filled with plenty of hot springs, petroglyphs and fumaroles making them a popular tourist attraction for adventurous, thrill-seekers. 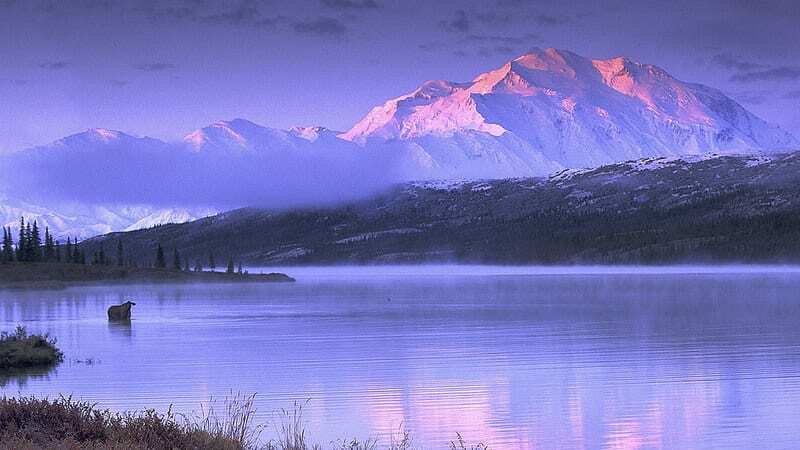 Every landscape at the Denali National Park and Reserve looks like a view straight out of a postcard. It’s most popular and photographed formation is Mount McKinley, which is also the tallest peak in the North American continent. 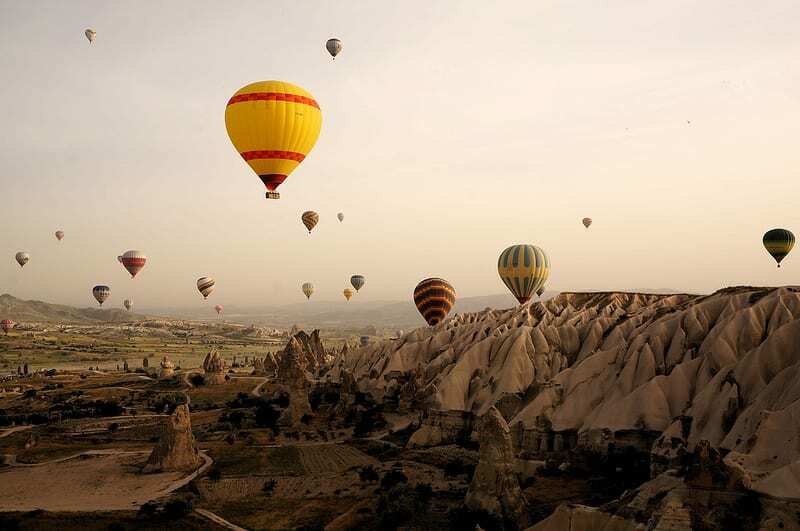 Looking at pictures of the Göreme National Park and the Rock Sites of Cappadocia in Turkey, you’d think they were the product of a Photoshop artist. Its many ‘fairy chimneys’ and thousand-year-old cave dwellings make the landscape look like a fantasy world. 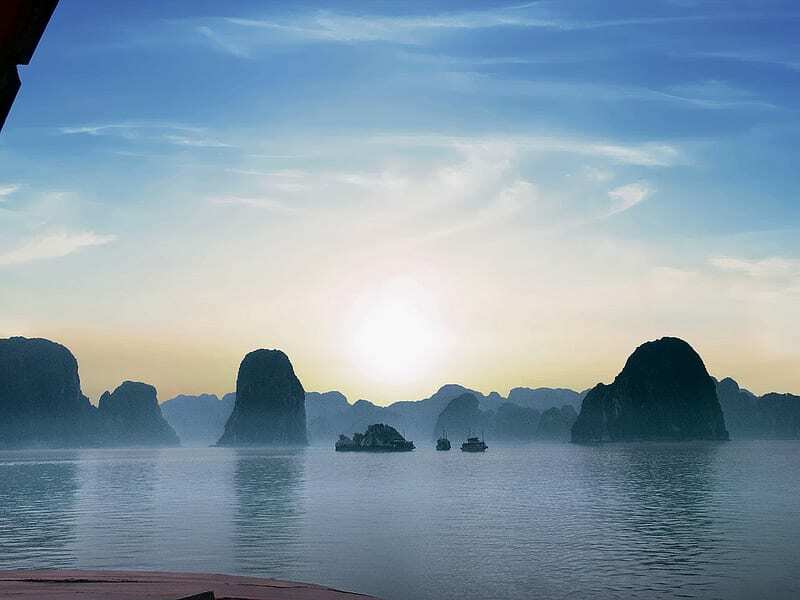 Halong Bay is home to more than 1,600 islands and karst formations making it look like an entirely different world. Its emerald green waters also add to the effect. No wonder, the bay attracts over 6 million tourists a year who explore the scenery through multi-day cruises. 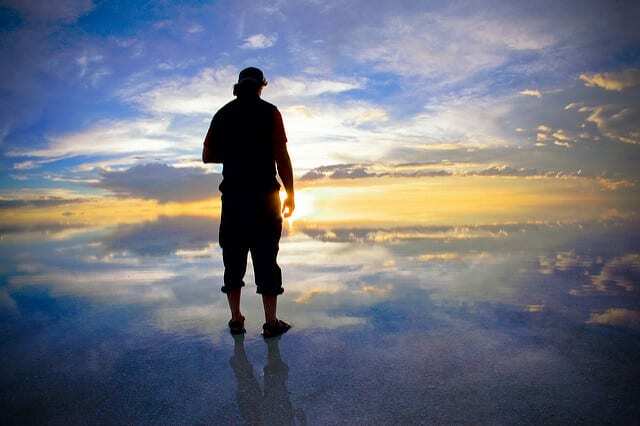 The Salar de Uyuni Salt Flats in Bolivia are a remnant of prehistoric lakes which have run dry. The lakes left the land covered in a thick layer of salt. The arid land gets its magical vibe when it is flooded by nearby lakes with a layer of shallow waters transforming the salt flats into giant mirrors. 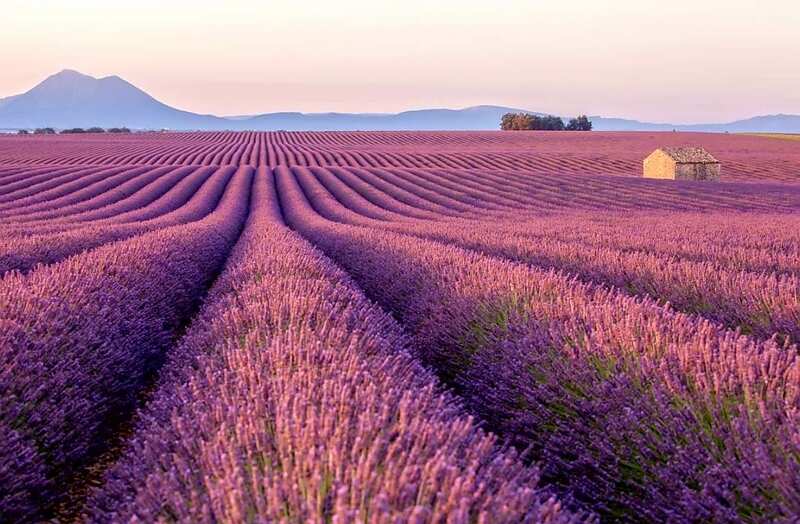 During the months of June to August, the landscape of Luberon Regional Nature Park is filled with acres and acres of lavender plantations in full bloom. The experience is completed with the accompanying smell of lavender flowers in full bloom. Here’s another fascinating salt flat formation that’ll make your jaw drop. The Salinas Grandes is a large salt flat located in central-northern Argentina. 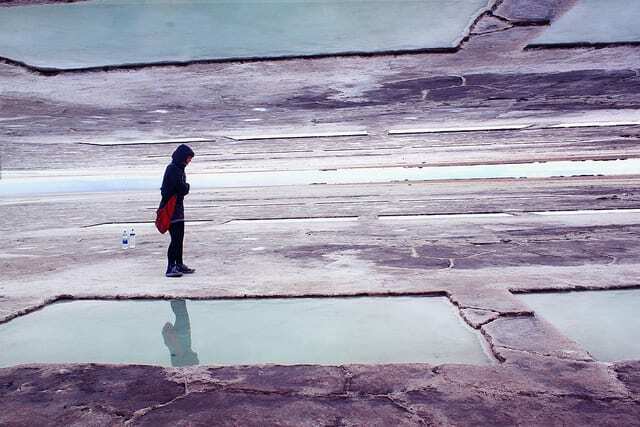 What sets it apart from similar salt flats is its saltwater pools filled with clear luminous water. Richat Structure was first spotted from outer space by two American astronauts on the Gemini 4 Space Mission in 1965. 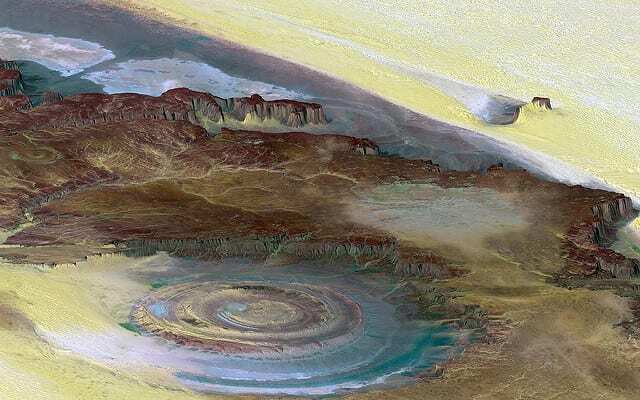 The human eye-shaped geological formation deep in the Sahara Desert is said to only be visible in space. 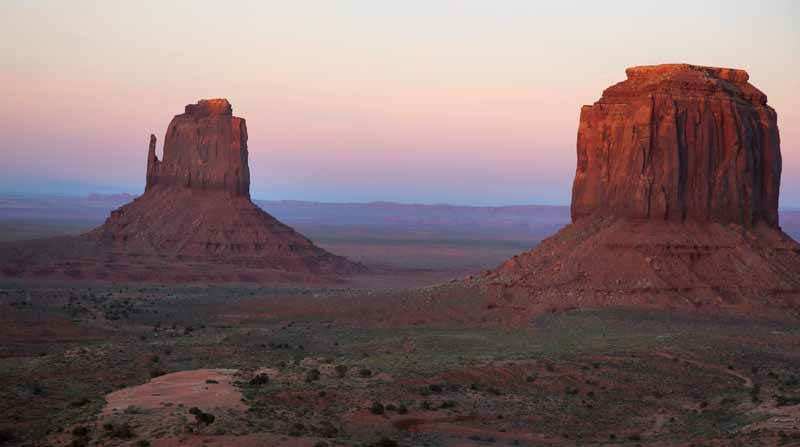 You may recognize this unbelievable landscape from old Western movies. 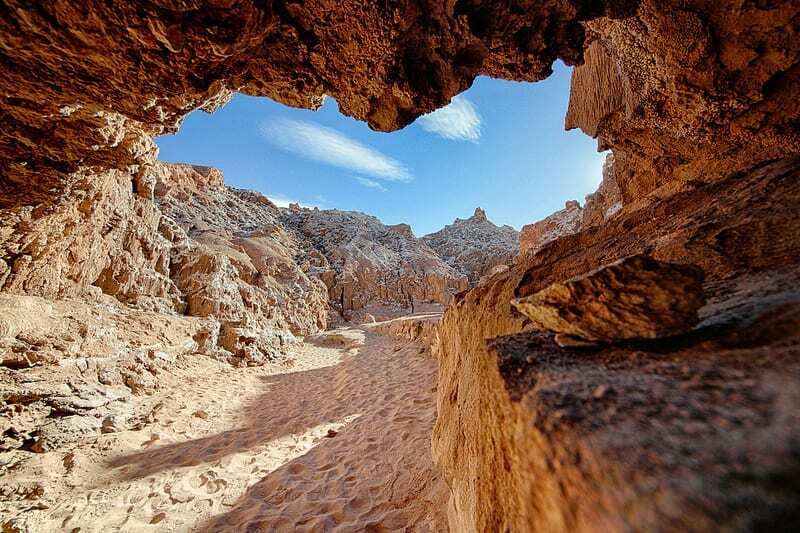 It’s not hard to see why director John Ford chose this valley as a setting for his adventure-filled movies, given its vast expanse and impressive formations. 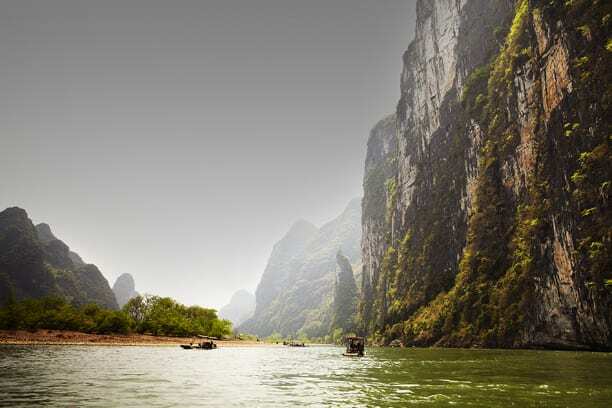 China’s vast territory is definitely filled with lots of natural wonders, and the winding Li River is one of them. The river is famous for its jade green waters and the many karst formations dotting its banks. Because of its scenic beauty, the river has inspired centuries-worth of poetry and paintings. 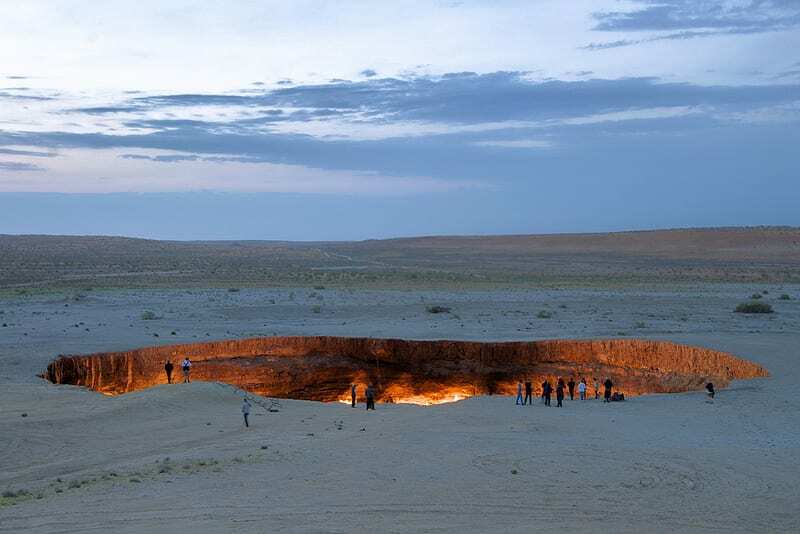 The Darvaza gas crater, nicknamed the Door to Hell, is an enormous sinkhole that has been burning for 45 years now. Records show that the fires began after a group of Soviet geologists caused the crater to collapse and emit flammable gases. 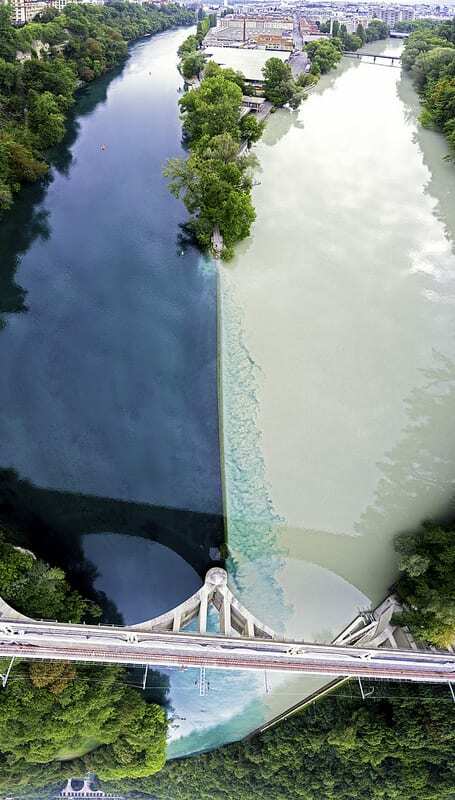 The fascinating view of the junction of the rivers Arve and Rhône in Switzerland is the product of the difference between the rivers’ waters and floating speeds. The Arve has sandier water and flows faster while the Rhône has dark blue waters that flow slower. 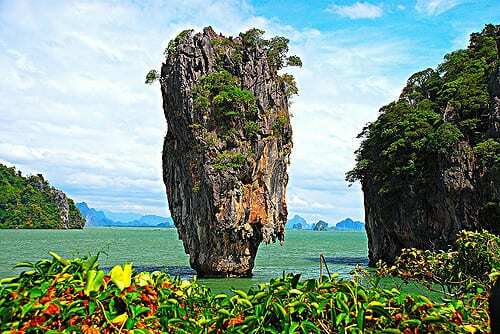 The island gets its moniker after the James Bond “The Man with the Golden Gun” film featured and popularized it in 1974. The island has been a popular destination for both locals and foreigners who come to bask at the bay’s turquoise waters and amazing rock formations. 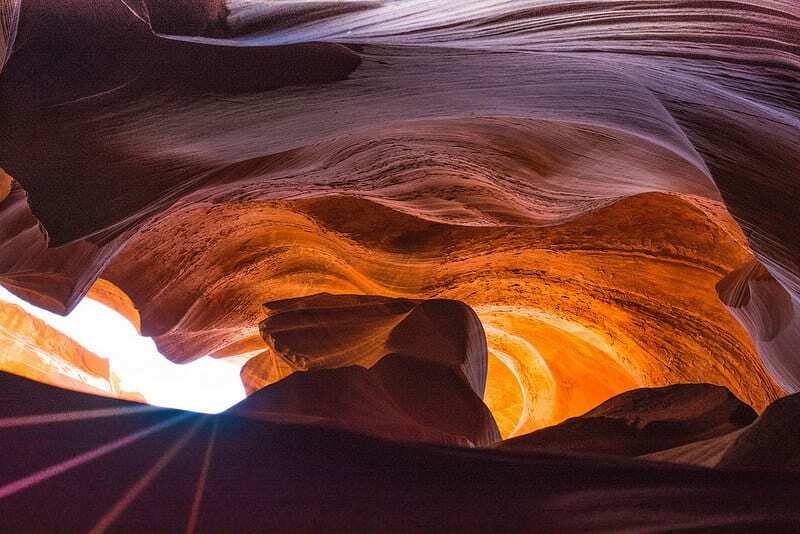 It’s no surprise why photographers flock to this canyon formation. Its interiors of smooth, waving walls and mixture of pleasing colors translates well into pictures. However, even professional photographers need to work hard to get amazing pictures given the reflecting lights in the canyon walls. 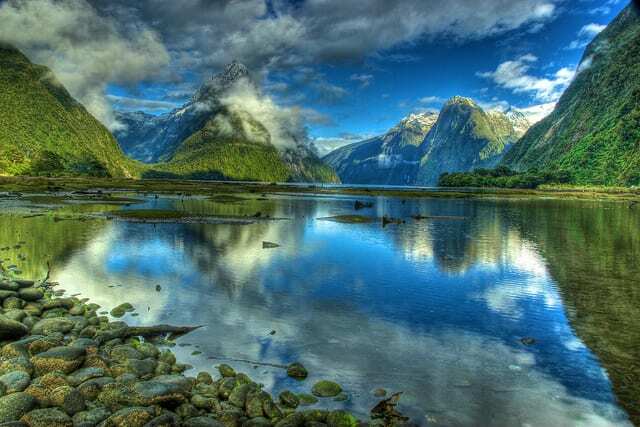 Milford Sound is a view straight out of a painting. Decorated with the towering Mitre Peak, glacier cliffs and greeneries, the landscape is just pure beauty waiting to be admired. Good thing it can easily be accessed by boats which also gives tours to explore the Fiordland National Park. 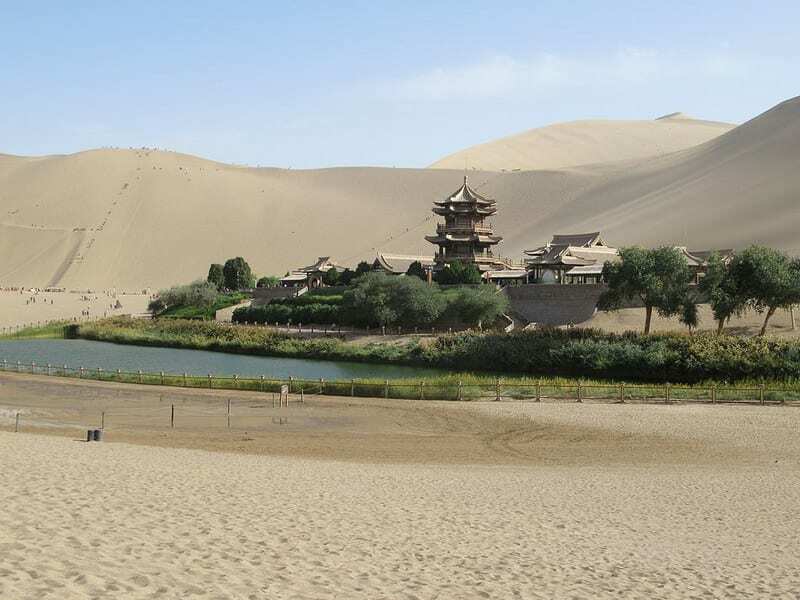 The Crescent Lake is a freshwater oasis said to have formed 2,000 years ago in the midst of the Gobi Desert. It gets its name from its perfect half-moon shape. The lake was once in danger of drying up, but fortunately, the Chinese government saved the lake by refilling it. 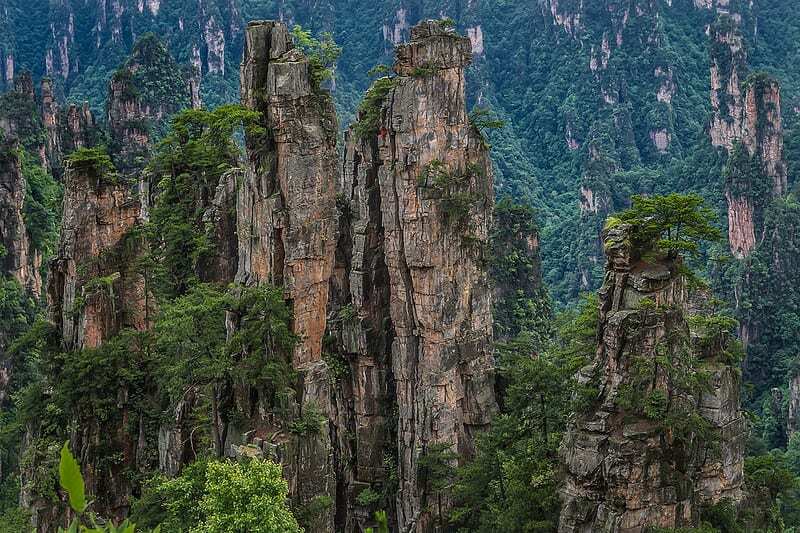 Deep in the Zhangjiajie National Forest Park lies a series of eroded sandstone columns which inspired Disney’s “Pandora: The World of Avatar attraction.” Draped in greenery and surrounded by lush forests, the area is also popular among hikers and photographers. 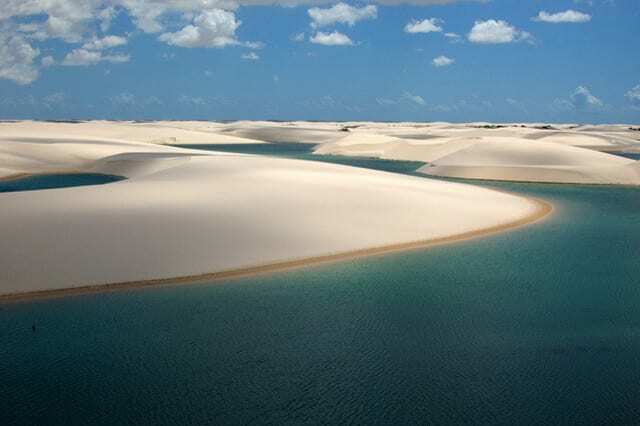 What sets the Lencois Maranhenses Sand Dunes apart from others is its beautiful clusters of water pools. What’s even more amazing is that live fish actually survive in them making them home to miles and miles of natural fish ponds. Here’s another unbelievably beautiful landscape that inspired Disney. 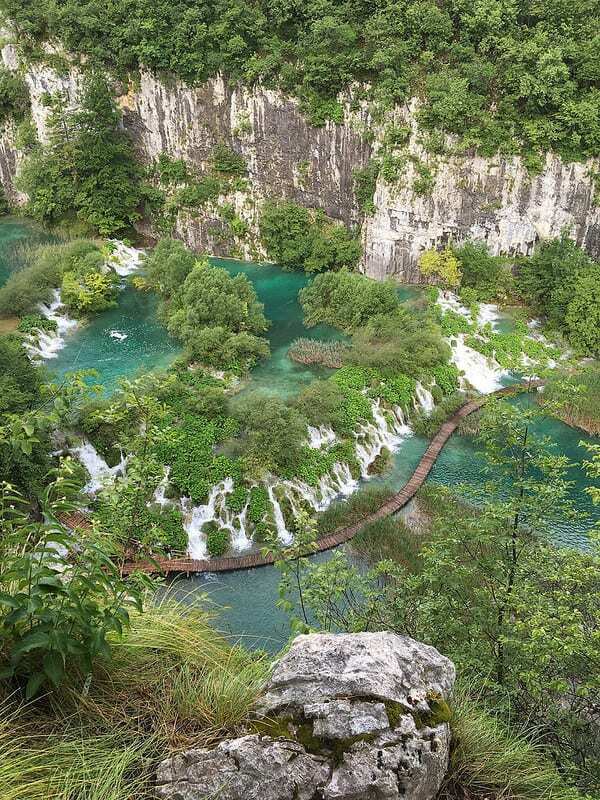 The lush Plitvice Lakes National Park in Croatia has been credited as the main visual inspiration for the Pandora World of Avatar attraction of the park. The forest reserve is made of terraced lakes and waterfalls which people can explore through winding trails around the water formations. 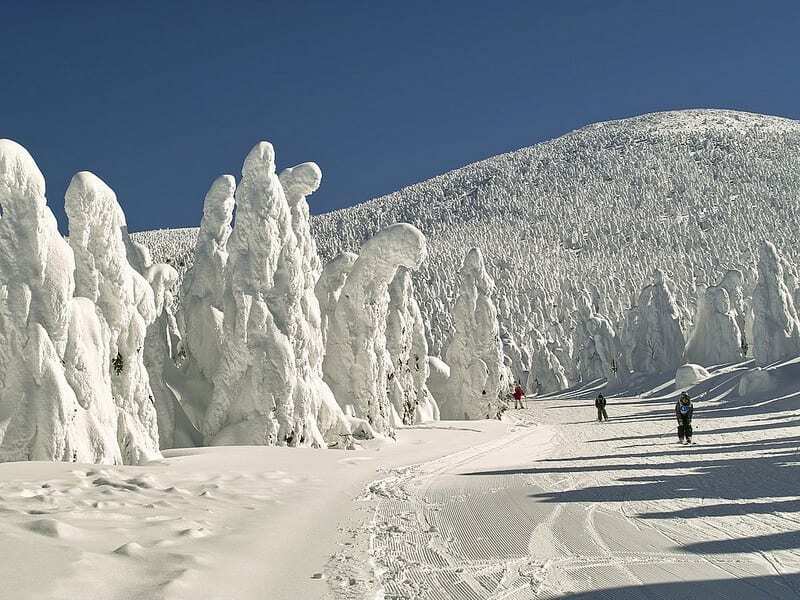 People may come to the Zao Onsen Hot Spring and Ski Resort to ski and relax, but they definitely stay for the strange yet beautiful forest of frozen ice trees (juhyo) that flock the resort. 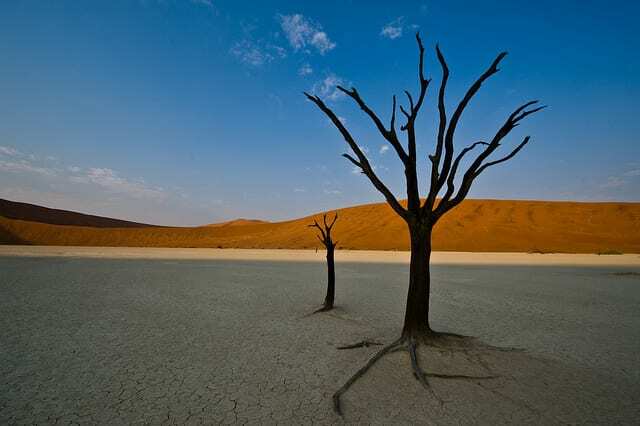 Looking closer, visitors will find that each tree is frozen into various shapes and formations. 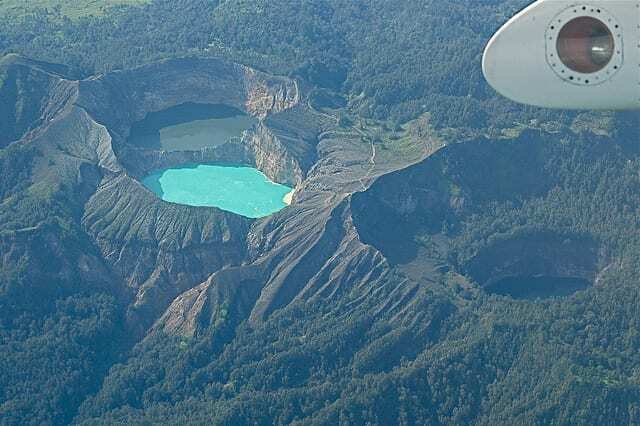 Kelimutu Volcano’s three crater lakes are nature’s version of a mood ring. Although they’re usually a blue or black color, the waters of the lakes are known to change in color every couple of years from blue to green to red and even black. 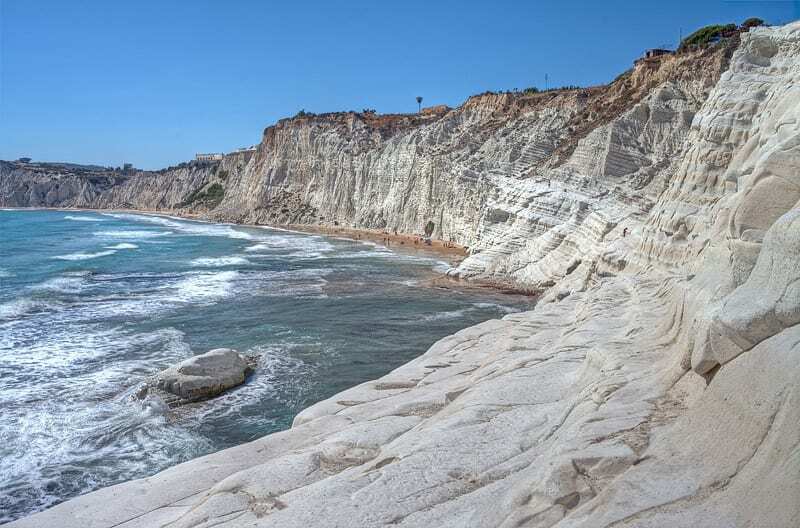 What makes the Scala dei Turchi different from other coastal cliffs is that it is made of sandstone and marble. This gives the formation a white color which complements the teal color of the sea in front of it. Aside from admiring its stunning composition, people also flock to the Scala dei Turchi for cliff jumping. Said to be one of the most beautiful rivers in the world, Caño Cristales boasts of waters tinged with the colors green, red, yellow, orange and blue. 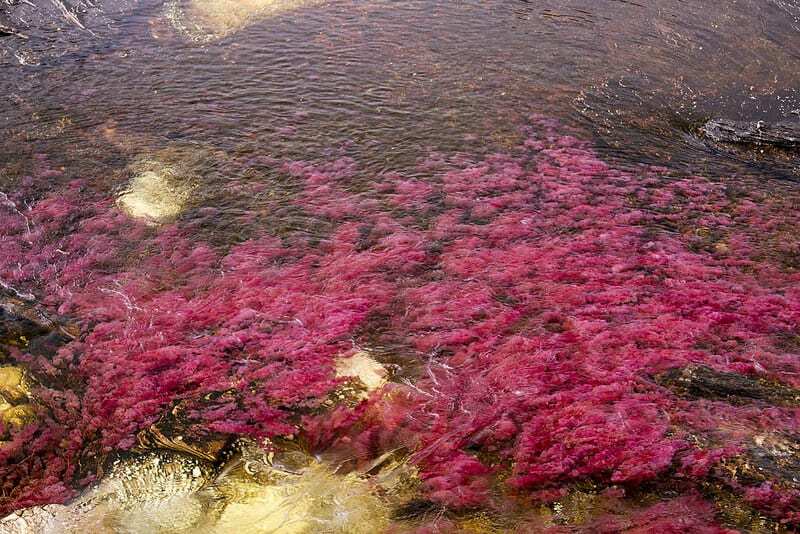 It gets its colors from the many types of aquatic plants that grow on the river floor. There are two stories chronicling the origins of this stunning rock formation jutting out into the Atlantic Ocean. According to scientists, the stretch of geometric rocks are a product of volcanic activity tracing back to 60 million years ago. 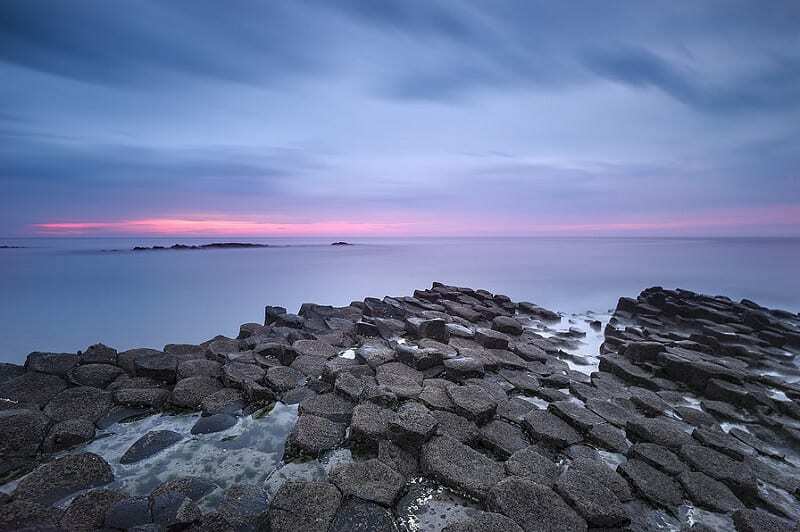 But the locals believe that it was remnants of a Scottish local who once tried to fight a giant, hence the name Giant’s Causeway. Bryce Canyon National Park’s main attractions are the strange, yet well-formed, rock formations called hoodoos. It also holds the record for having the most hoodoos in its park grounds. The structures are a product of thousands of years of erosion which resulted in their totem pole-like shape. You’ll know the Bisti Badlands of New Mexico were aptly named once you see its amazing and otherworldly landscape reminiscent of post-apocalyptic movie sets. Its unique landscape has also been compared to that of the moon’s surface. 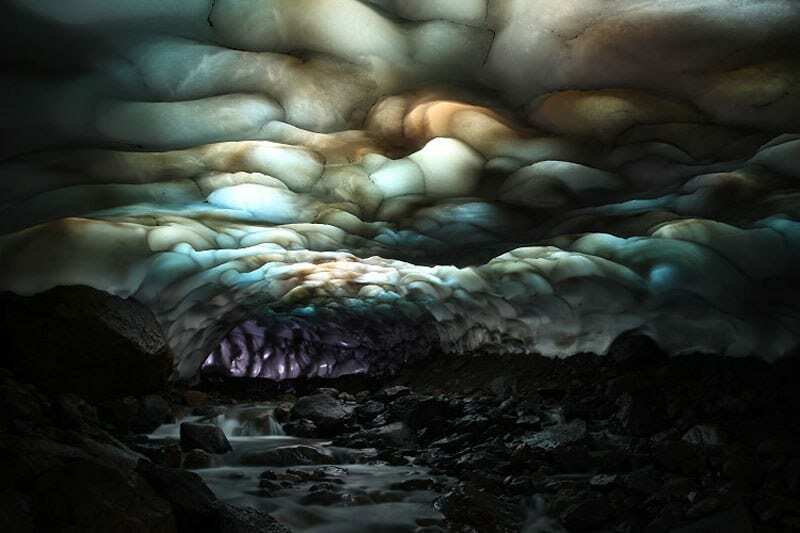 The ice caves of Kamchatka can be found in a kilometer-long tunnel near the Mutnovsky volcano in Russia. The caves are made more magical when sunlight finds its way in and produces a rainbow of colors on the glacial ice in the caves. 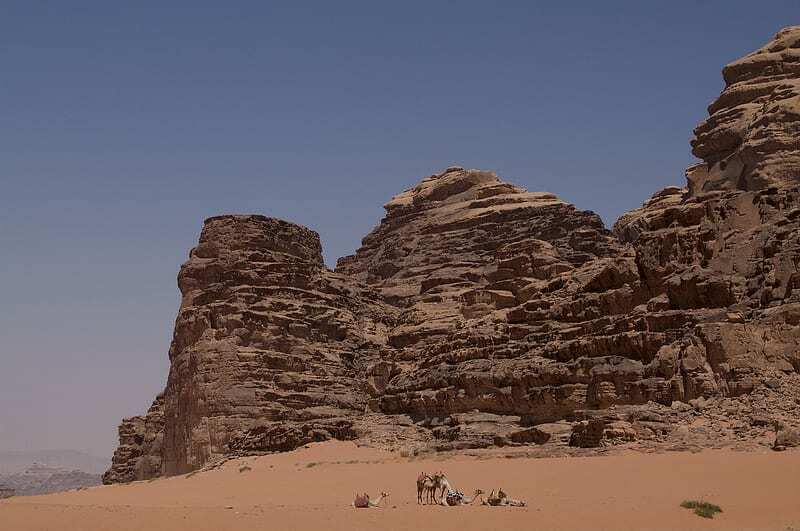 The red rock desert that is the Wadi Rum Protected Area served as home for the nomadic Bedouin people for thousands of years. The site’s unusual beauty came to the attention of the West after T.E. Lawrence (Lawrence of Arabia) found his way Wadi Rum while serving at the first world war. 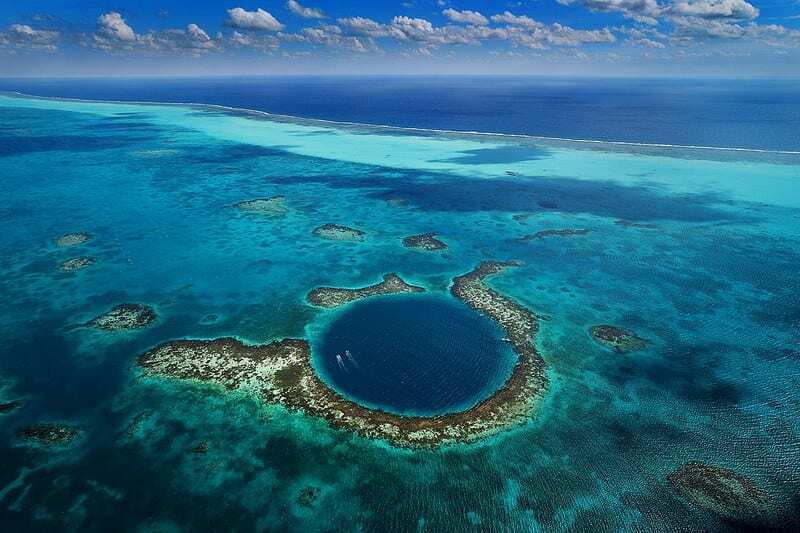 The Great Blue Hole at Belize’s Barrier Reef is an underwater sinkhole. The hole has a depth of 125 m and is filled with both stalactites and stalagmites suspected to be remnants of a former limestone cave that collapsed due to climate changes. The site is also a popular spot for divers. 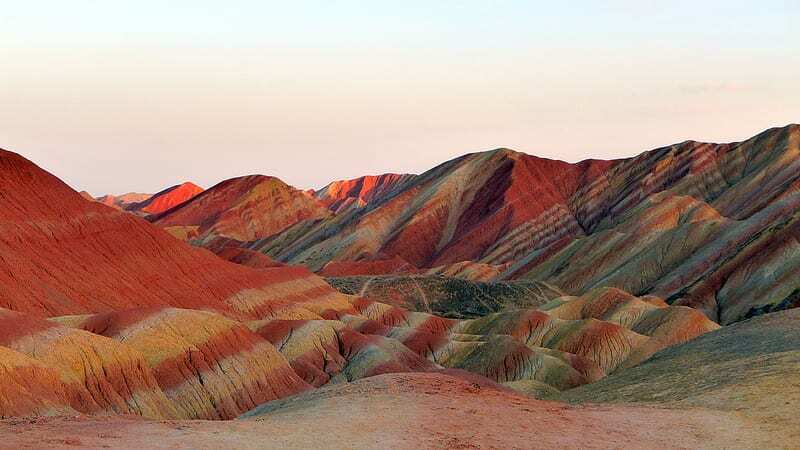 Zhangye Danxia is a landform featuring mountains of colored rocks (sandstone). The sight of the mountains is often likened to landscape paintings because of their surreal appearance. The mountains are believed to be formed over millions of years, thus the layered colors of sandstone. Here’s another landscape compared to the moon because of its rugged and dry characteristics. In reality, this portion of Argentina’s Ischigualasto Provincial Park is a fossil graveyard. Scientists have found fossils of dinosaurs and other species at the site that date from around 250 million years ago. 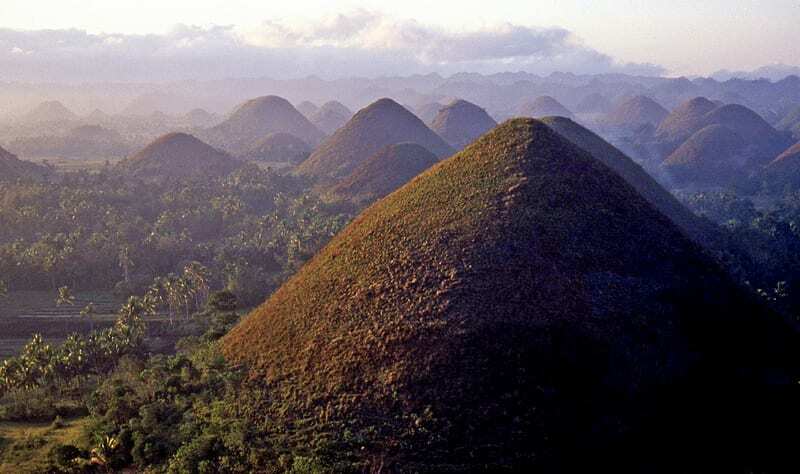 The Chocolate Hills are a cluster of around 1,500 to 1,700 limestone mounds covering a portion of the Bohol province in the Philippines There are about 1500 of these limestone mounds in Bohol province in the Philippines. It gets its name from the brown color of the dried grass that cover the hills during the dry months. 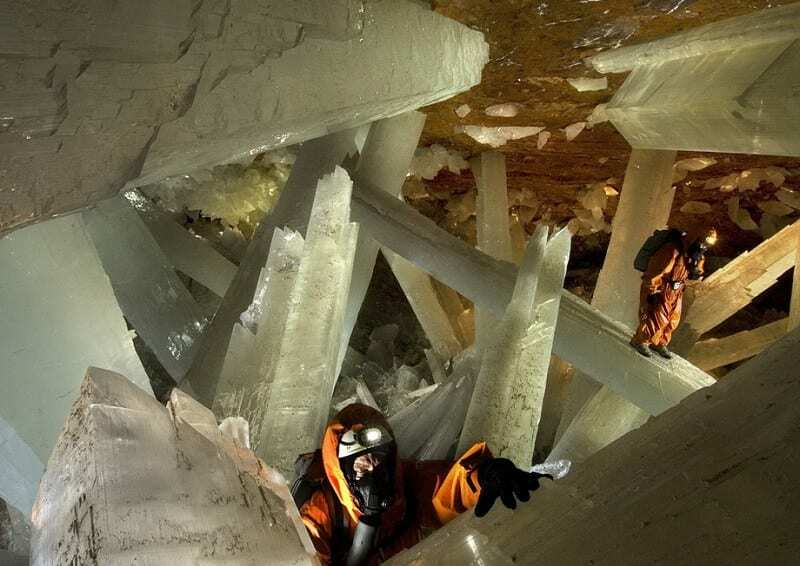 Did you know that this deep cave in Chihuahua, Mexico is home to the largest selenite crystals ever found on Earth? The largest one found in it measured around 39 feet in height and 13 feet wide. But this may not even be the biggest one in the cave. Large portions of the cave remained unexplored because of its harsh environment. Of course, any list of the best and craziest of natural landscapes would not be complete without mention of this astonishing natural wonder. 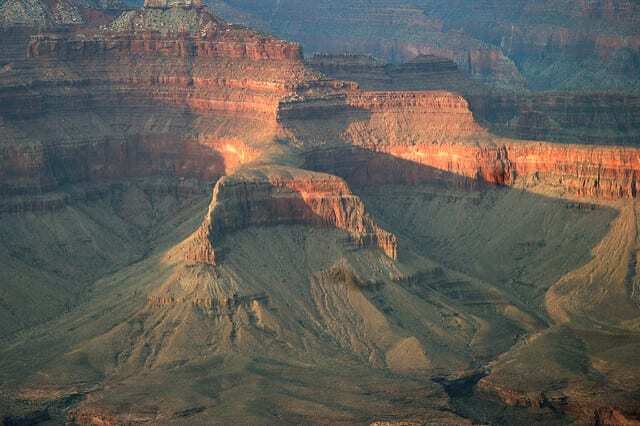 Covering massive area of about 277 miles, the Grand Canyon is a steep-sided canyon formed by the erosion of the Colorado River. It has a widely popular site for tourists who wants to view the vast scenery or walk the trails around the canyon. Victoria Falls or Mosi-oa-Tunya holds the record as the largest waterfall in the world. A testament to this is in the accounts from people who say that one can hear the waters of the falls from 25 miles away. It was first discovered by Western explorers in 1855. Unfortunately, public exploration of the falls is limited because of its dangerous reputation.